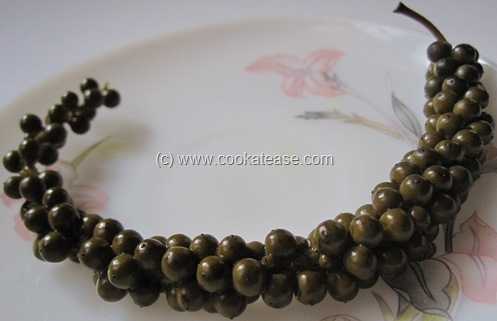 Fresh green peppercorns are un-ripened form of black peppercorns. 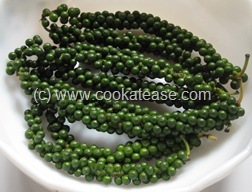 Fresh green peppercorns look very attractive and are sold in the market during the season. 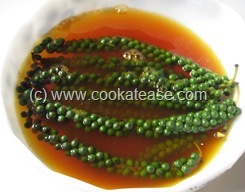 Here is Kurumilagu (Fresh Green Peppercorns) Oorukai (Pickle). In my childhood, I enjoyed this pickle prepared by my mother. 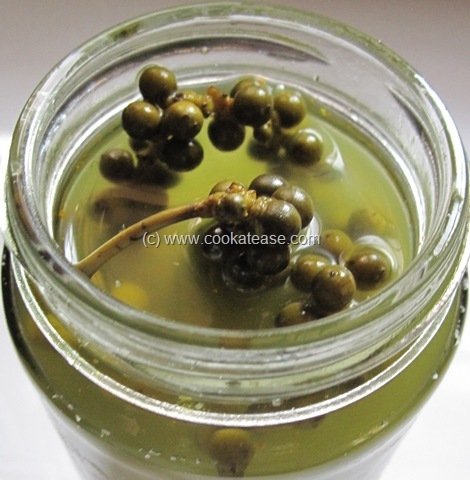 I love this pickle as it is oil-free. This pickle is very easy to prepare. 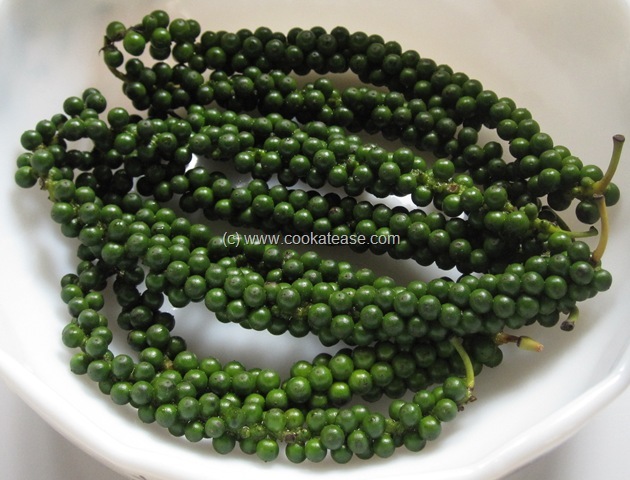 Fresh green peppercorn is known as kurumilagu (குறுமிளகு) in Tamil. 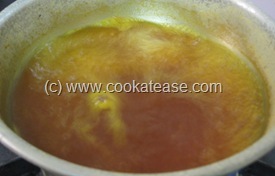 Boil two cups of water in a pan; when it starts boiling, add crystal salt, turmeric powder; boil it for few more seconds; remove and allow it to cool completely. Rinse green peppercorns in water (without breaking into pieces) with stalks and dry it on a towel to absorb water; now put green peppercorns in a bowl; add salt-turmeric water. 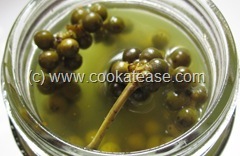 Transfer this to a glass jar; green peppercorns must be fully submerged. Let it remain for 4 to 5 days. 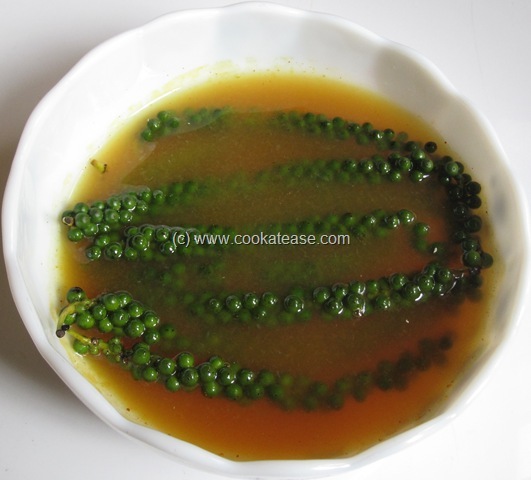 There after this Kurumilagu (Fresh Green Peppercorns) Oorukai (Pickle) can be used. This is how it looks after 5 days. It tastes hot, sour and salty. Shake the jar once or twice daily. 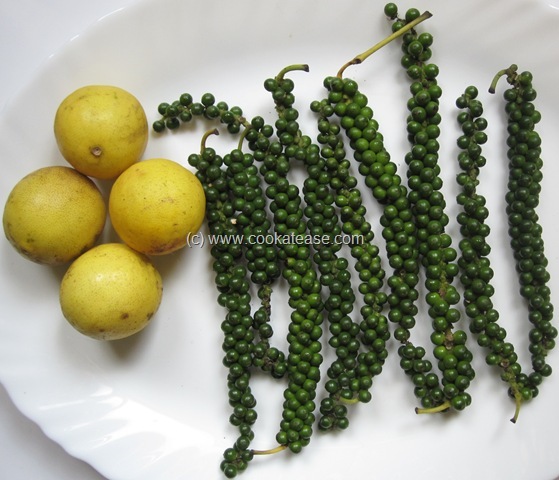 A unique pickle indeed.Nice post. 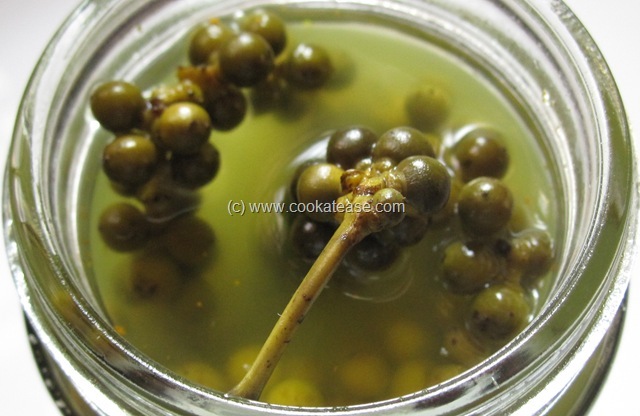 wonder pickle amazed to see a pickle with out oil..very tempting to try out..however wat will be shelf life of this pickle considering that there is no oil in it…. 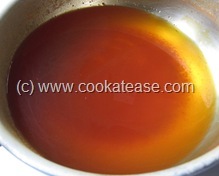 I normally keep it for 10 to 15 days without refrigeration. 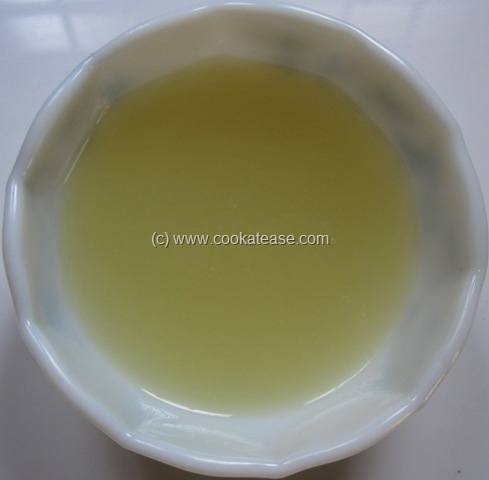 Refrigeration may improve the shelf life for some more weeks.